TIU Canada seeks to acquire two projects on construction of solar power plants in Odesa region, TIU Canada CEO Michael Yurkovich has said in an interview with Ukraine Business News during the World Economic Forum in Davos. Thus, the Canadian company continues implementing the strategy to invest $100 million in the construction of solar power plants in Ukraine until the end of this year, he said. 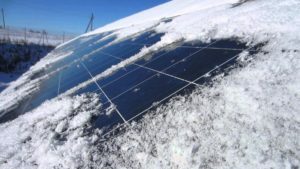 The company has already built a solar power plant with a capacity of 10.5 MW in Nikopol and is building another one in Mykolaiv region with a capacity of 13.5 MW. By the end of the year it is planned to begin construction of four more in Odesa and Mykolaiv regions. TIU Canada began its activity in Ukraine in June 2017. Its owner is the investment company Refraction Asset Management (Calgary, Canada). Grossdorf agrochemical company (Cherkasy region) in Sarata (Odesa region) has launched new production of liquid carbomide-ammonium mixture fertilizers with a capacity of 60,000 tonnes per year. According to a company press release, with the opening of the plant its capacity in the area of liquid fertilizers production rose to 410,000 tonnes per year. “Grossdorf receives raw materials from Europe and Central Asia, but transportation of these raw materials for production of carbomide-ammonium mixture from the central regions to the southern regions is expensive. Therefore we built a production base and a raw materials storage base in Sarata. The plans for 2019 are to diversify the markets for the supply of raw materials,” the release says. According to Grossdorf Commercial Director Serhiy Ruban, the capacities launched will allow the company to provide the entire Odesa region with carbomide-ammonium fertilizers, and also consider the possibility of exporting fertilizers from the production unit in Sarata to Moldova. Grossdorf (Cherkasy) was established in 2016. It is engaged in production, import, transportation of fertilizers, as well as providing services for the introduction of liquid ammonia. The company’s core business is the supply of basic fertilizers for precision farming. 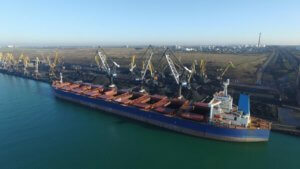 State-owned enterprise (SOE) Ukrainian Sea Port Authority and the TIS Group have signed a memorandum of understanding, providing for the implementation of infrastructure projects at the Yuzhny seaport (Odesa region), according to a posting on the website of the Infrastructure Ministry. The memorandum envisages the uniting of efforts of the SOE and the private company to develop Yuzhny port’s infrastructure. The authority seeks to conduct dredging works in the internal canal leading to the water area of berths of the TIS Group (from berth 18th to 22nd), a water approach to the U-turn area and a part of the operation water areas of berths 21st and 22nd to reach the designed depth of 16 meters. In turn, TIS will conduct dredging works near its berths: 18, 19 and 20 to 19 meters and 21 and 22 – to 16 meters. After these dredging works, TIS plans to do its best to boost cargo handling by 10-15 million tonnes in 10 years. 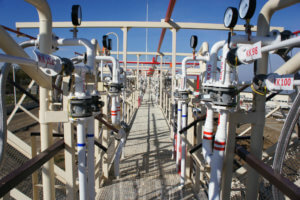 Ekonavtika LLC by the end of this year will commission a complex for LPG storage and transshipment located in Izmail district of Odesa region. The press service of Odesa Regional State Administration said the second stage of construction is currently being completed. The amount of investment in the project was EUR 4 million. In addition to engineering and transport facilities for receiving and storing liquefied petroleum gas, the complex allows transshipping gas to road, rail and river transport. The total capacity of the complex is 200,000 tonnes per year. The territory of the complex is equipped with access railway tracks, a railway overpass and a tank farm. There is also a customs warehouse in the territory of the complex. 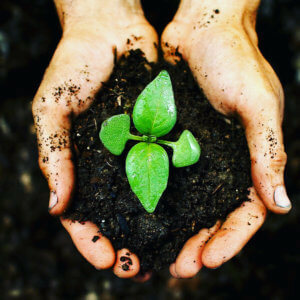 A new biogas plant would start operating in the coming month in Okny district of Odesa region, Deputy Head of Odesa Regional Administration Svitlana Shatalova has written on her Facebook page. She said that at present the startup work is being conducted at the plant, which construction cost EUR 17 million. “They want to build four more,” the official said. 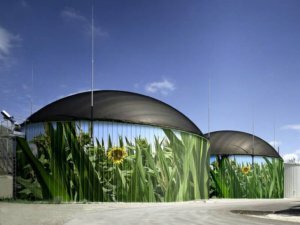 According to the Okny District Administration, the plant was designed to treat waste and silage into biogas for the production of electric and heat energy. The capacity of the complex will be 5 MW. It will create 25 jobs. The sole founder of Wimexim Trade House with a statutory fund of almost UAH 29 million is Cyprus KO Biogas Development Company Ltd.
Odesa Regional State Administration has signed a memorandum of cooperation with the wind energy company Soratano Ukraine LLC. 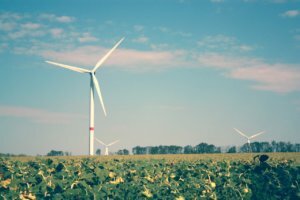 According to the press service of the administration, the document provides for the construction of a wind power plant in Bilhorod-Dnistrovsky district of Odesa region. The total amount of investments is about EUR250 million. “We’ve agreed to cooperate in the implementation of a project, which provides for the construction of a 100 MW power plant,” the press service said citing Head of Odesa Regional State Administration Maksym Stepanov. The report also notes that the power plant is designed for 30 wind generators. The investor plans to complete the construction until 2020. According to open data, the founder of Soratano Ukraine LLC is Cypriot SORATANO LTD, the ultimate beneficiary is a citizen of Belgium residing in Ukraine. At the same time, there are no online references to the implementation of such projects by these companies. As reported, Odesa Regional State Administration agreed to implement a similar project with little-known Ukraine Power Resources.